Chronic obstructive pulmonary disease (COPD) has historically been considered a “man’s disease.” The Marlboro Man, who we all grew up knowing as the rugged male smoker, even died of COPD. The image many of us see when we think of COPD has for a long time seemed to be older, white males. However, it may come as a surprise to find out that women are actually more at risk than men to develop COPD. Recent studies have shown that women are 37% more likely to have COPD than men. Since the year 2000, more than half of all deaths attributed to COPD have been in women. So, what is causing COPD to consistently claim more lives of women than men? Smoking- It is well known that smoking is the number one cause of COPD. It is estimated that 18.3 percent of females are smokers. Most women have smaller lungs than men, so any irritation is going to affect them more. Estrogen also breaks down nicotine faster than the lungs have time to get rid of it. Prolonged exposure causes nicotine damage to build up and can make quitting even more difficult. Anatomy and Biological Factors- Women with COPD are 1.5 times more likely than men to never have smoked. Because they are more susceptible to lung damage, things like secondhand smoke, pollution, and workplace irritants like dust and agricultural components can be causes for them. Misdiagnosis – More than half of women living with COPD don’t even know they have it. Many doctors overlook COPD symptoms in women or classify them as asthma because of the longtime gender stigma. Female patients often excuse their symptoms for this reason too. 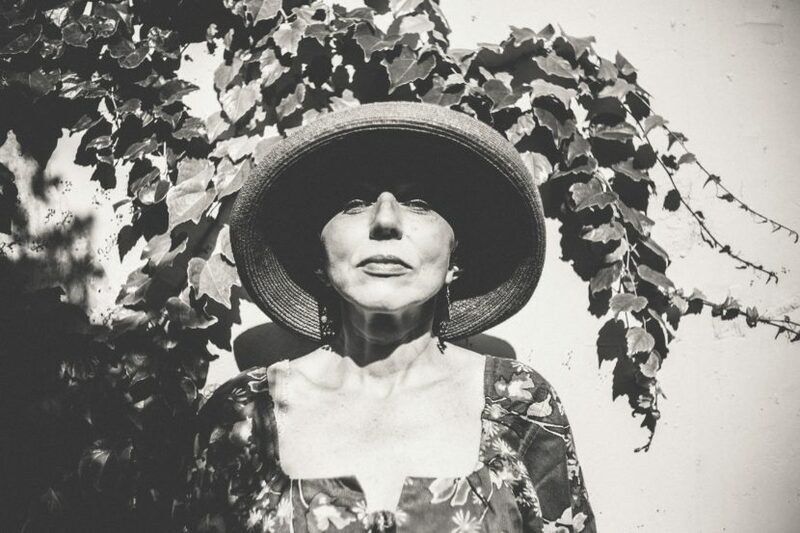 Being Proactive: Because COPD is widely associated with smoking, women are many times more embarrassed about seeking treatment for fear of judgement. They typically need more support and a stronger connection that may be lacking in their care. Fortunately, earlier detection can make a big difference in treatment and quality of life. 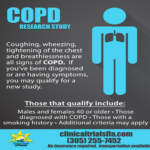 If you or someone you love is suffering with symptoms associated with COPD, a clinical research study now enrolling in your area may be an option. Those that qualify, are seen by board-certified physicians and may have access to new medications before the general public. Compensation may also be available for time and travel. To learn more and to see how you may qualify, click HERE.